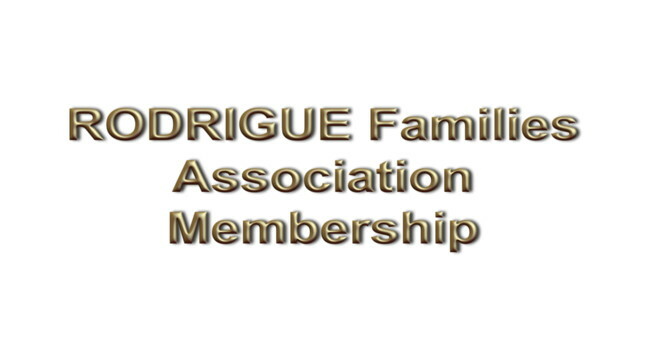 Membership in the RODRIGUE Families Association is open to anybody who is a descendent of one of the Rodrigue ancestors or who is related to one of these descendents; it is also open to anybody who is interested in becoming a member. By becoming a member of the Association, you will receive your Association membership card. Your membership will give you the right to vote in the Annual General Assembly of the Association, and also the right to be a candidate to one of the seats on the Board of Directors at the election which is held at the Annual General Assembly. You will also receive the Le Rodrigue~s/z newsletter, and you will be able to access the genealogical data of the Rodrigue families which are available on this site (username- and password-protected). 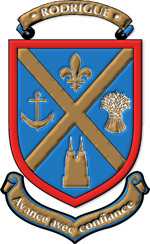 The cost of the annual membership is $25.00, including the spouse and children under 18 living at home. You can be a benefactor member for $50.00. You have also the possibility of becoming a life member for $500.00. To become a member, fill out and send us the Membership Application Form (in PDF) that you can get by clicking the Membership button below. If you are already a member and you want to renew your membership, you can get the Membership Renewal Form by clicking the Renewal button below.